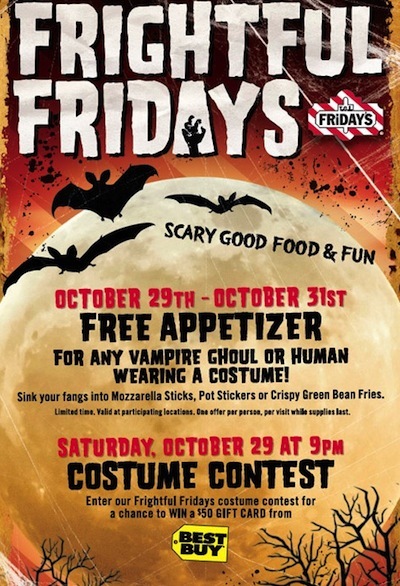 Stop by in costume at your local T.G.I.Friday’s restaurant on Saturday October 29th, Sunday October 30th, or Monday October 31st to get a FREE appetizer. Details HERE. While you're there, take a picture and share it with us! Free Chips & Queso at Chili's! I don’t have one close to me. Love Friday’s, thanks for sharing the coupon. Yum! We love TGI Fridays. This is a great coupon!